If you like novels that are less like novels and more like psychologically-driven collages, then this is the book for you. Adler says it best herself when, through the voice of her protagonist Jen Fain, she writes, "There are only so many plots. There are insights, prose flights, rhythms, felicities." The latter is what builds the structure of this book---it finds its driving force in the association and synonymy of language and memory. If Joan Didion was the first-person narrator of a novel she didn't write, this is what I imagine she'd sound like. 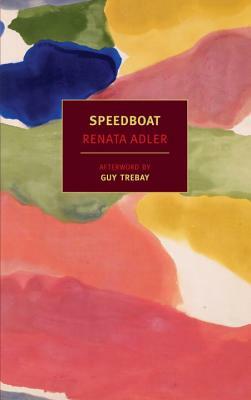 Wryly feminine, deeply personal, and quirkily aphoristic, Speedboat is both of its own moment and perfectly contemporary.